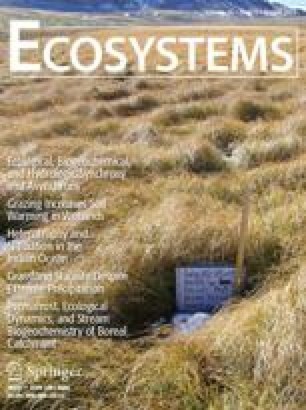 Understanding terrestrial carbon metabolism is critical because terrestrial ecosystems play a major role in the global carbon cycle. Furthermore, humans have severely disrupted the carbon cycle in ways that will alter the climate system and directly affect terrestrial metabolism. Changes in terrestrial metabolism may well be as important an indicator of global change as the changing temperature signal. Improving our understanding of the carbon cycle at various spatial and temporal scales will require the integration of multiple, complementary and independent methods that are used by different research communities. Tools such as air sampling networks, inverse numerical methods, and satellite data (top-down approaches) allow us to study the strength and location of the global- and continental-scale carbon sources and sinks. Bottom-up studies provide estimates of carbon fluxes at finer spatial scales and examine the mechanisms that control fluxes at the ecosystem, landscape, and regional scales. Bottom-up approaches include comparative and process studies (for example, ecosystem manipulative experiments) that provide the necessary mechanistic information to develop and validate terrestrial biospheric models. An iteration and reiteration of top-down and bottom-up approaches will be necessary to help constrain measurements at various scales. We propose a major international effort to coordinate and lead research programs of global scope of the carbon cycle. Key words: biosphere metabolism; carbon cycle; carbon fluxes; global change; terrestrial ecosystems. Received 7 May 1999; accepted 28 September 1999.